In a medium sauce pan, bring the water, milk and salt to boil. Slowly, stir in the grits. Allow mixture to come to a boil once again. Immediately, lower the heat to a simmer. Cook at the low temperature (stirring occasionally) for about 10 minutes or until the grits have the consistency you prefer. Add the butter, raisins, sugar and cinnamon. Stir until the butter is melted and all ingredients are combined. 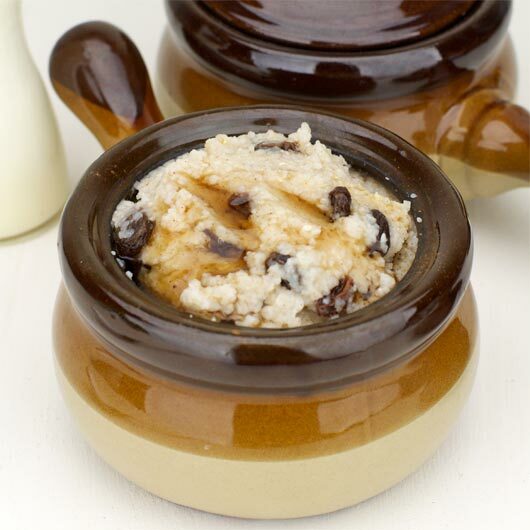 Turn off heat and allow grits to set for 5 minutes so the raisins soften. Transfer to bowls and serve with additional milk and sugar. A creamy, sweet treat from the south. You can experiment with this recipe. 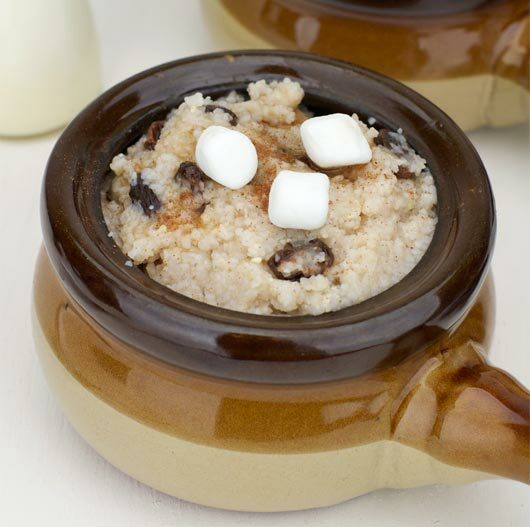 Anything you might add to oatmeal, you can also add to these grits. Try chopped nuts or fresh berries for fun variations. Recipe number 3213. Submitted 1/6/2014.